VicRoads plans, delivers and manages the arterial road network of Victoria. It delivers road safety initiatives and customer focused registration and licensing services. VicRoads manages 80,000 hectares of roadsides and takes a balanced approach to roadside management. This considers factors of road safety, protection of environmental and cultural heritage values, management of fire risk, and preservation and enhancement of roadside amenity. 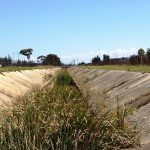 VicRoads supports the aspirations of Greening the West to improve amenity and the urban environment to enhance the liveability of Melbourne’s western suburbs. VicRoads recognises that road reserves support a significant proportion of vegetation and wildlife and make a major contribution to ecological landscape connectivity. During construction and maintenance of roads, VicRoads takes measures to maintain – and where possible, improve – the flora, fauna and ecosystems that may be impacted by their work.